After a resounding wins thus far in the Champions League, United hope to make it three out three as they travel once more in Europe to face arguably their toughest group stage opponents (on paper that is), to end the first round of fixtures. Numerous now United men make their return to Portugal too. After some famous success for the reds against the Lisbon club in this competition over both clubs’ decorated history, it should be a good one. It’s notable that José Mourinho’s first European match as a manager was as Benfica boss before he conquered Europe with FC Porto. Now Rui Vitoria is in charge of the side who have not had a better run than in 1992/93 when they reached the quarter-finals. They have never beaten United in a competitive match and the most famous encounter between the two was in the 1968/69 European Cup final, in which Matt Busby’s men won 4-1 at Wembley. The two sides are very different now though, United have won their opening two matches convincingly and Benfica have lost their’s that way – which shows that this group is up for grabs in terms of qualifying for the knock-out rounds. The Estadio da Luz club have had a strong start to the season, sitting 3rd in the Liga Nos behind their title rivals Sporting SP and FC Porto. They have only lost once this season domestically but their Champions League form has shown their frailties. 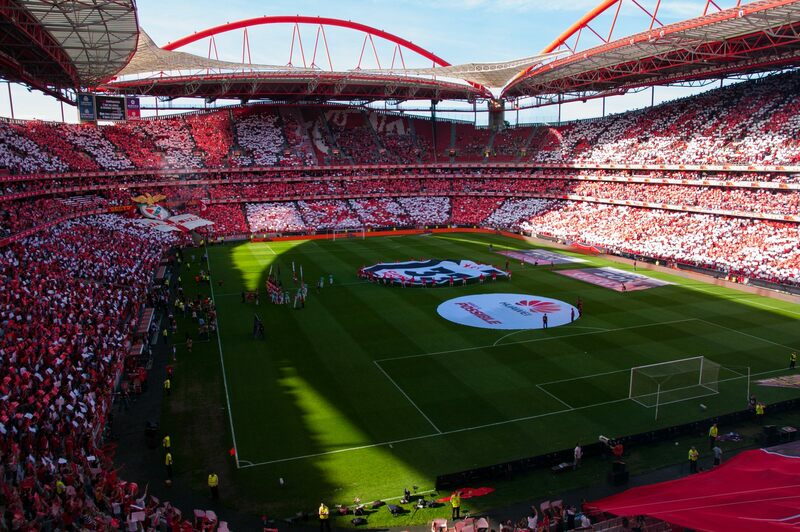 Benfica, though, have been hampered with unavailability this season. The Águias welcome back a number of men including Brazilians, goalkeeper Julio César & striker Jonas. Fellow countryman centre-back Jardel is still out injured, along with Portuguese right-back André Almeida through suspension. The men in the middle, Ljubomir Fejsa & Pizzi control the game more often than not. The likes of Raul Jiménez, Eduardo Salvio, and Rafa Silva could cause United problems up front as they have both skill & strength alongside big-match experience. The brother of United youngster Matty Willock, Chris Willock, is in the Benfica ranks too (but is unlikely to start). Usually a selling club to bigger team around Europe, their squad is rife with talent that can be effectively utilised. There’s an abundance of familiar faces in the United contingent other than Mourinho that return to face their former rival or former club. Victor Lindelöf, who has played in most cup matches thus far and made his Premier League debut on Saturday, and Nemanja Matić both have had time with the club they now face off against that excelled their career. Marcos Rojo has been a man in the news as he returns to the squad, but will not play in the same city in which he represented rivals Sporting CP, prior to joining United, as he’s still a few weeks off. There’s notable men on the sidelines once again for United as the injury situation worsens. Zlatan Ibrahimović remains out, joined by Eric Bailly, Michael Carrick, Marouane Fellaini, and Paul Pogba. There’s been no real time frame given by Mourinho for any of the players and the manager has been in his own controversy this week. His comments about not signing a contact at the club, his praise of Paris Saint Germain, and the fact he will not retire at Old Trafford, means the press have surrounded him in speculation. That didn’t help coming soon after he was slated by many in the footballing world for his tactics at the weekend; despite still being unbeaten all season with just two draws and four goals conceded in this campaign. David De Gea should start in goal but most other places are up for grabs as the squad doesn’t particularly face a huge test at the weekend or next midweek before three consecutive big matches. The reds have also had good records against Portuguese clubs in Europe but the most famous match other than that 1697/68 match, was when Mourinho made his name in Europe with a late win & touchline run. Felix Zwayer will be in charge on the night. Confidence needs to keep up at United but they must be wary of their adversaries on the night. The match will be a tactical battle that should throw up some key moments for the group stage. It will, in addition, reveal how United react following a big match that they weren’t their best in; and they may need to be that in this encounter.